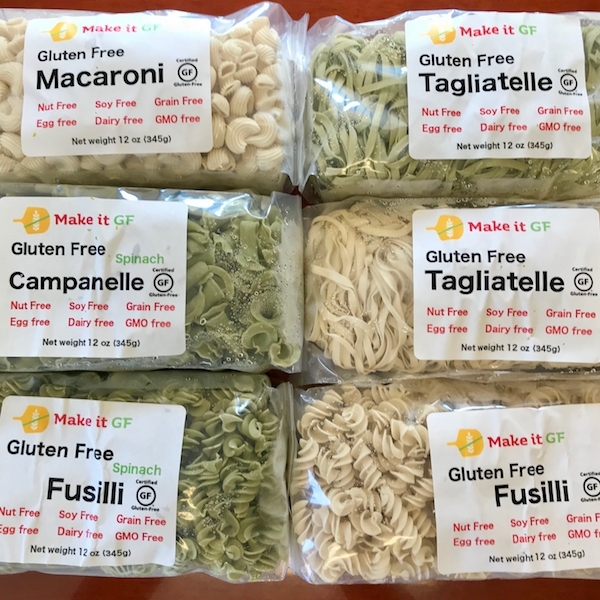 Make It GF will be at the Connecticut Expo in April! 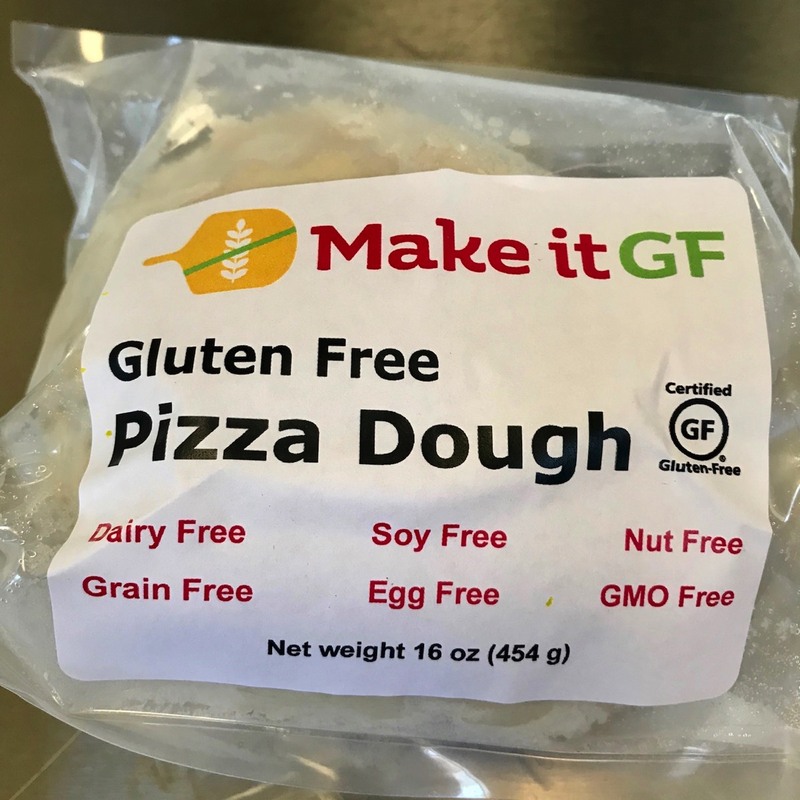 For the second year, Make It GF will be exhibiting at the Gluten-Free new England's Connecticut Expo. We will be there with a selection of our products, including pizza dough, breads and pierogis! We will be both sampling and selling our products along side 69 other vendors. 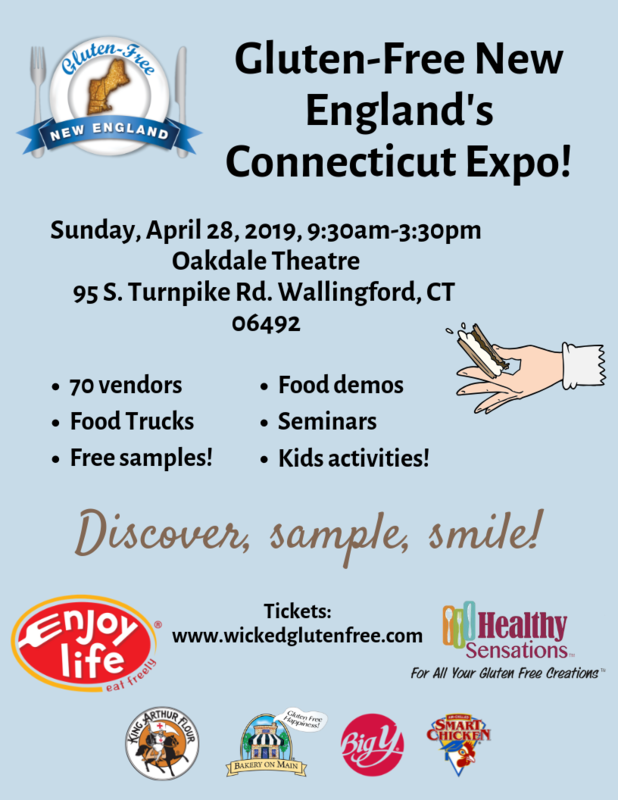 If you are living a gluten free life in Connecticut, this Expo is not to be missed! We ship anywhere in the US. We are working on being able to ship internationally. We offer bundles that include shipping in the price, as well as design your own bundle options. We've created a variety of different bundles of our products to appeal to most everyone. However, if you don't find a bundle that suits you, contact us and let us know what you want. Click here to choose your bundle now or design your own. Just in time for the holidays, Make it GF now offers gift cards. These eGift cards never expire and make the perfect holiday or birthday gift for your gluten free friends and family. Buy and send the card today, or schedule the card to be delivered on the special day in the future. The gift cards can be used at our online store or in our Canton shop. 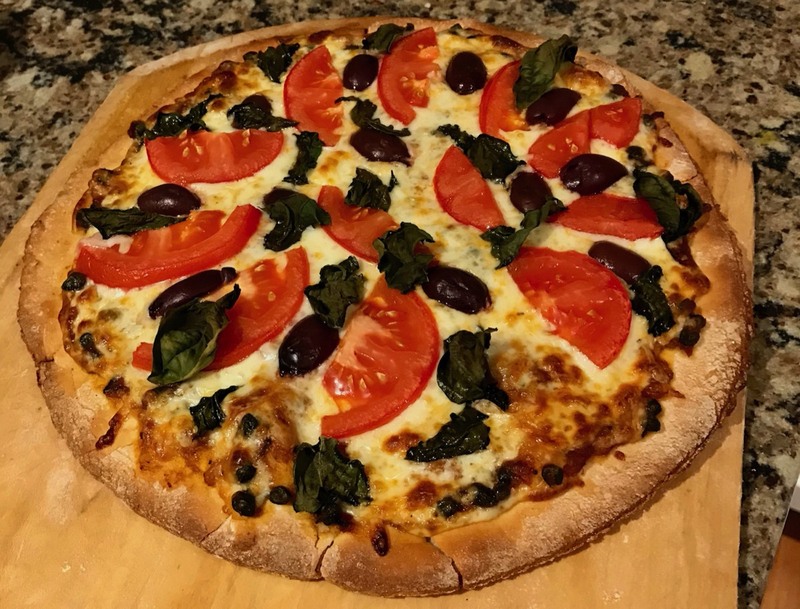 The best pizza is homemade, and no two are identical. Our pizza doughs and crusts are produced in a dedicated gluten free bakeshop. Our pizza dough can be rolled of shaped by hand as shown in the video below. Sold in one pound balls (454 g). Can be formed into one or two pies, depending on how large and how thick you like your crust. Click on the image at right or here for nutrition facts and more details. 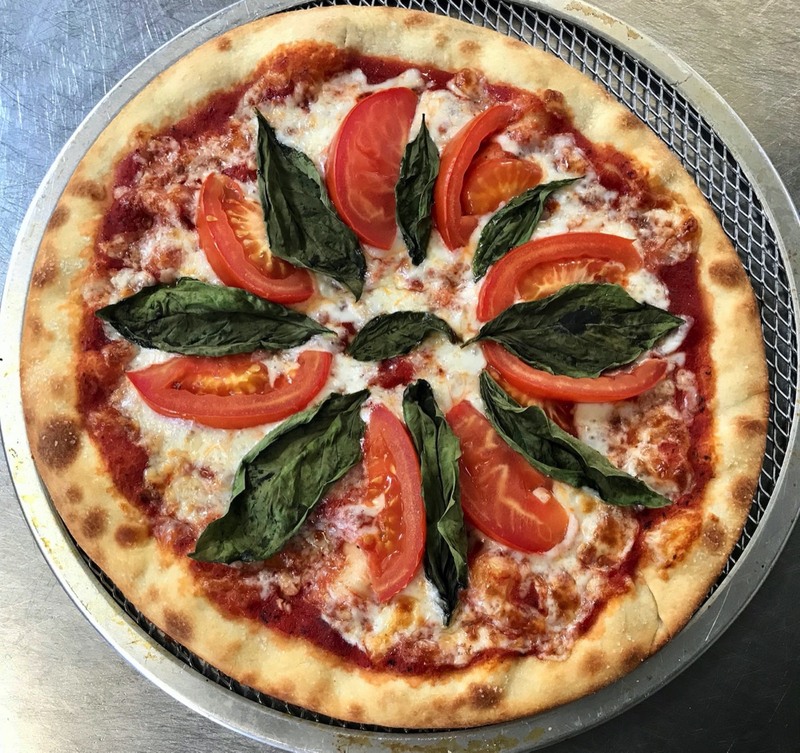 Homemade pizza is best, and our parbaked (partially baked) crusts make having homemade pizza super easy. Parbaked crusts are available in two sizes, 9" and 12" rounds. These crusts are briefly baked to make them easier to handle. Simply remove from the package and place on a pan, a screen or a pizza peel and top as desired. 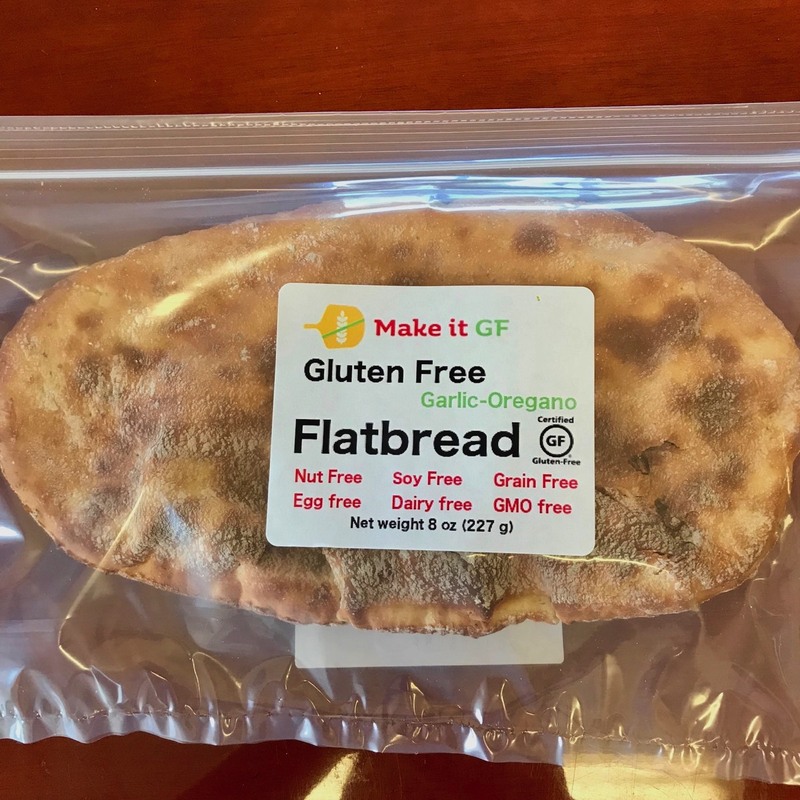 Breakfast, lunch or dinner, any time is the right time for a gluten free pita bread or flatbreads. In addition to flatbreads, we also offer breadsticks, the perfect accompaniment to our pastas. 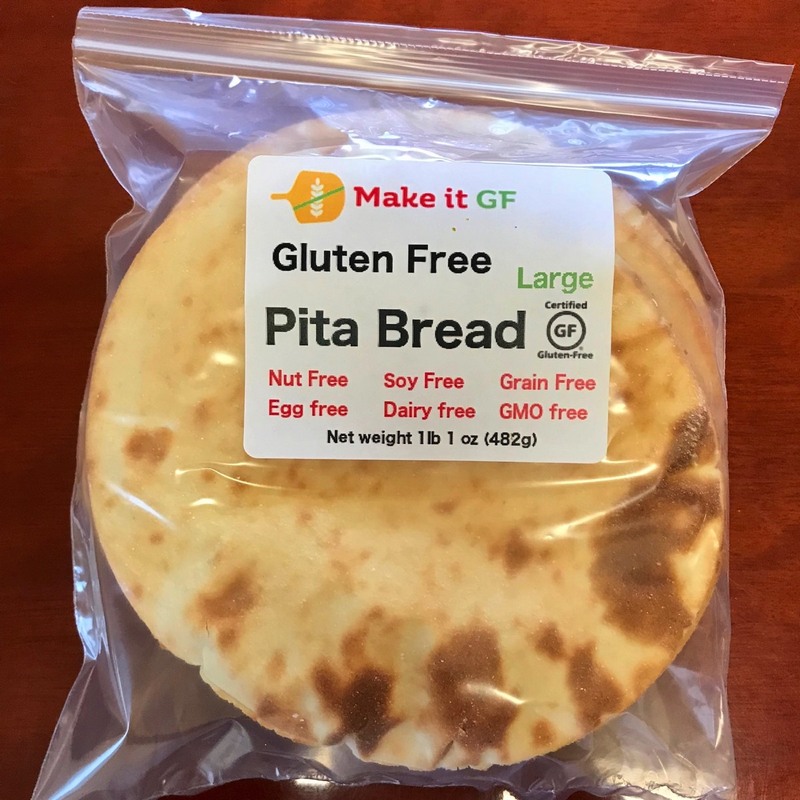 Made in a dedicated gluten free bakeshop, our pita breads are hand made, allergen free and vegan. Click on the image above for nutrition facts and more details about our pitas, or click here. Our rosemary flatbreads were inspired by the breads of Tuscany. Flavored with fresh rosemary, these fully baked breads are best heated and served with a bit of olive oil for dipping. 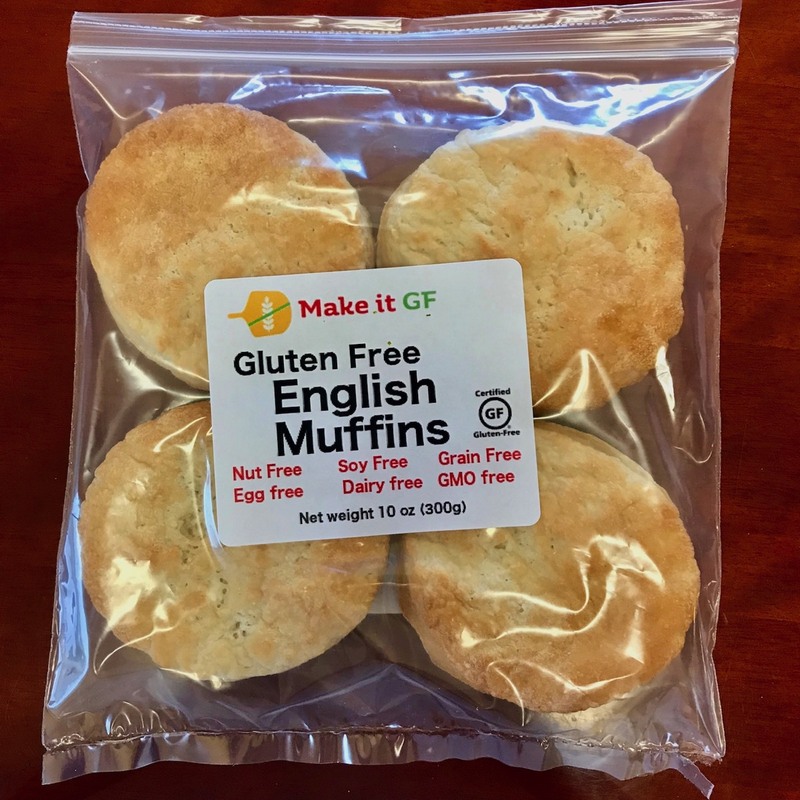 Made in a dedicated gluten free bakeshop. Click on the image above for nutrition facts and to learn more about our flatbreads, or click here. Quesadillas, flautas, tostadas, tacos, sandwich wraps… the possibilities of how to eat our are only limited by your imagination. 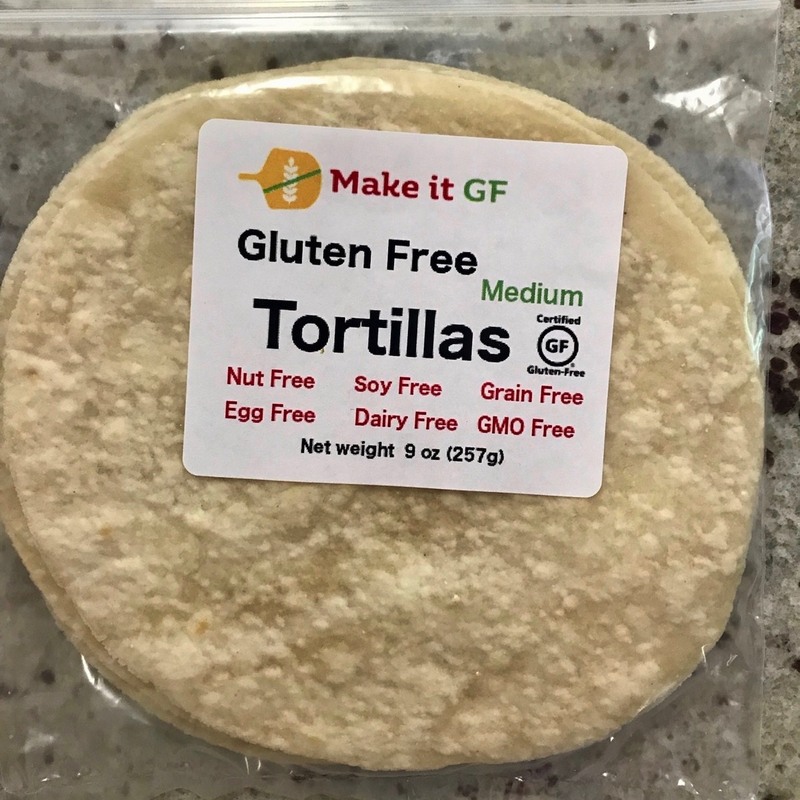 Our tortillas are produced in a dedicated gluten free bakeshop with certified gluten free and non-GMO ingredients. Our tortillas are rice free as well as gluten free. Click on the image above for nutrition facts and more details about our tortillas. or click here. Breadsticks are perfect as an appetizer or as an accompaniment to soup or pasta. 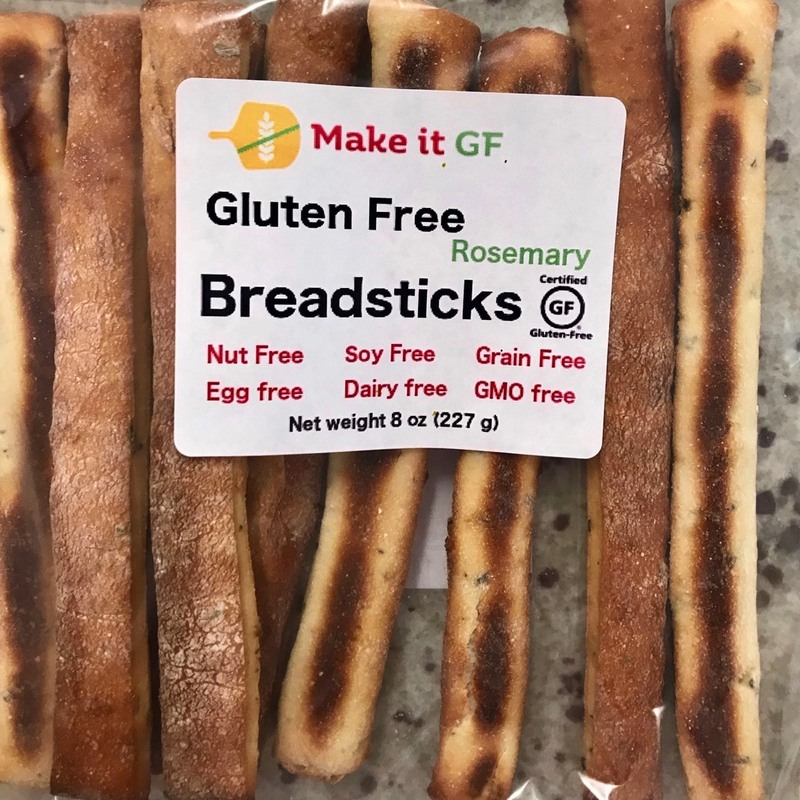 We currently offer two flavors of breadsticks, rosemary and garlic-oregano. Made in a dedicated gluten free bakeshop. Click on the image above for nutrition facts and more about our breadsticks, or click here. English Muffins are a tasty part of breakfast, whether as the base for Eggs Benedict or just toasted on the side. They also make great sandwich or burger buns. Whether you fork open our muffins or cut them with a knife, they will be a tasty part of any meal. Click the image of the muffins or here to learn about the nutrition facts for our English Muffins. 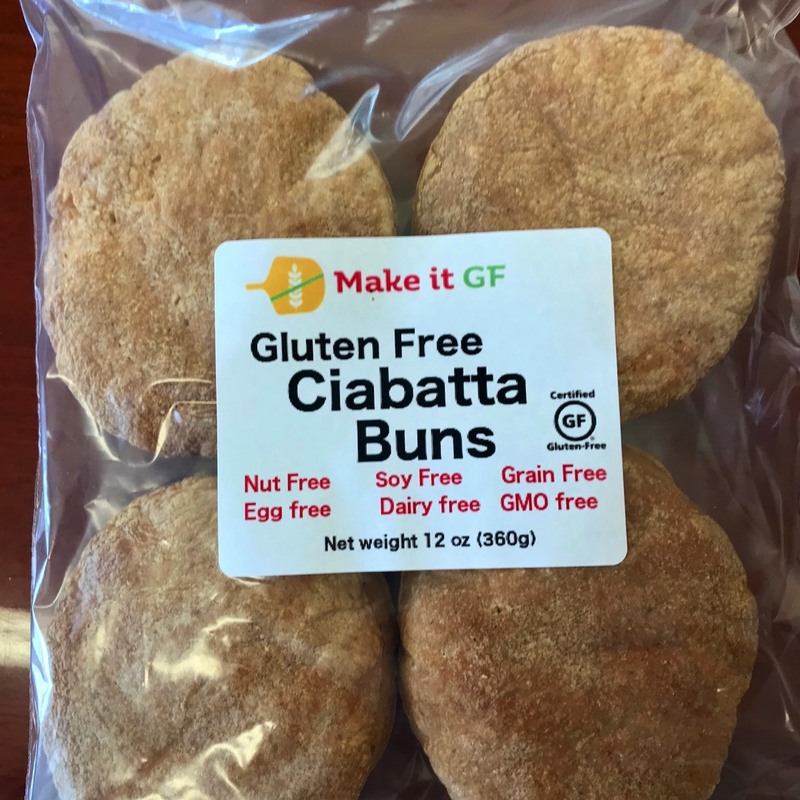 Inspired by ciabatta bread, these buns make the perfect burger or sandwich. These buns will not become mushy or fall apart, so go ahead and pile on the fixings and sauces! These buns also toast well, but toasted or not they are a tasty addition to any meal. Click on the image or here to learn the nutrition facts. Yes we have pierogi! Pictures coming soon! So delicious that pasta will become a staple in your diet again. Made fresh then frozen for long term storage. Cooks as quickly as fresh pasta. Four shapes (macaroni, fusilli, tagliatelle and campanelle, two flavors (so far), plus we offer two flavors of ravioli. Click the image above for all the details, or click here. Raviolis are pasta, of course, but our are so good they deserve their own page. 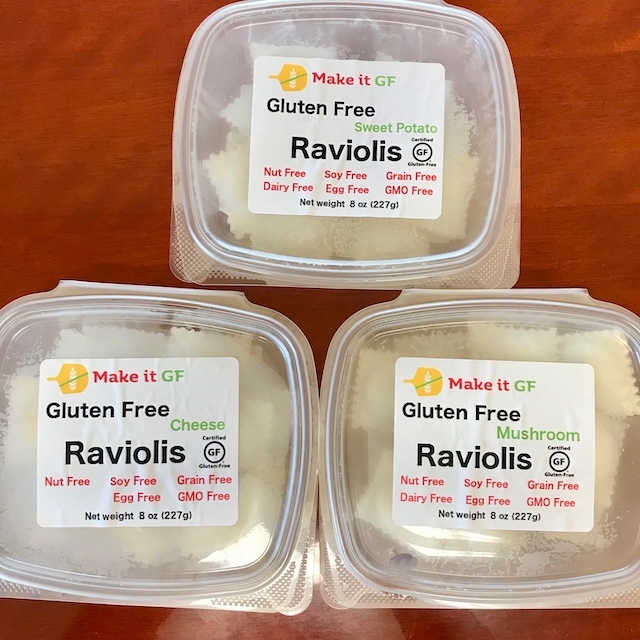 Our cheese raviolis are so tasty that they have been served at events, not as the "gluten free option" but as THE option for those that wanted raviolis. Click on the image to learn more about our ravioli, or click here. Raviolis are currently sold only at our Canton shop. Make your own pastry treats for any occasion with our gluten free puff pastry. Our pastry is "full puff" meaning it is made with layers of butter laminated between layers of gluten free dough. Our puff pastry can be used as pie crust too. Click on the image for the nutrition facts and more about our puff pastry, or click here. 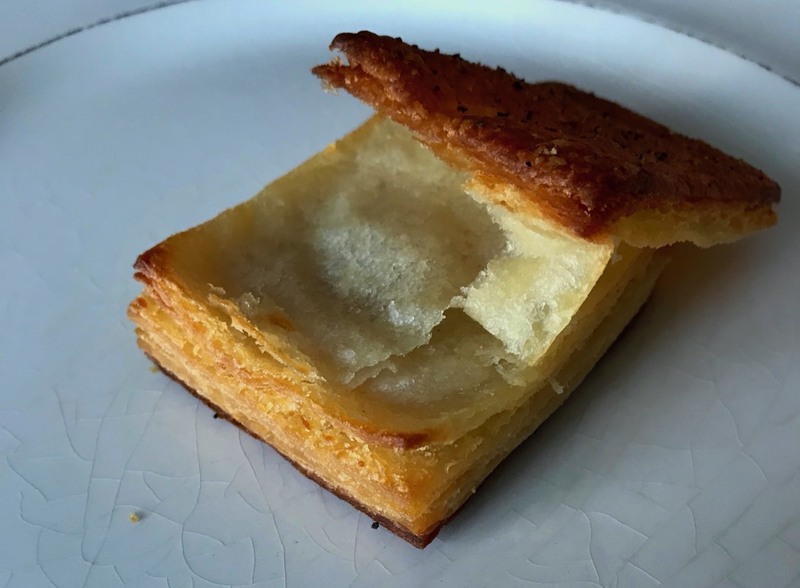 Currently, we only sell puff pastry at our Canton shop. 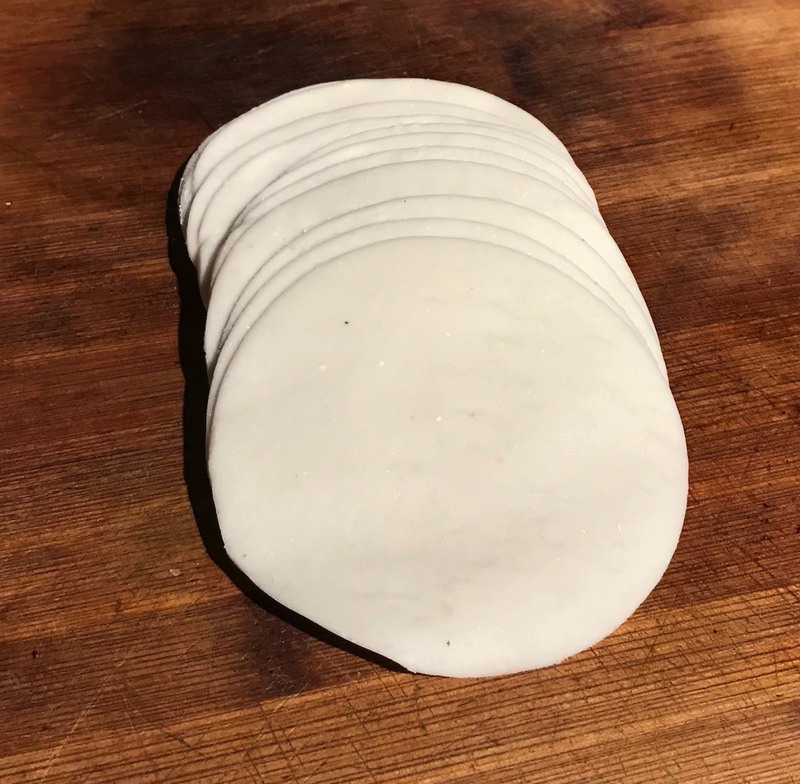 Make your own pot stickers with our gluten free dumpling wrappers. Or make your own raviolis. Click on the image to learn the nutrition facts and more about our wrappers, or click here. Pita ships are a great snack and perfect with hummus. Click on the image to learn more about our pita chips, or click here. Pita Chips are currently sold only at our Canton shop. Customers are often our best inspiration for new products. Early on (we opened our Canton shop in December 2017) a customer called and asked if we offered gluten free stuffing mix. We did not— and truth be told, still do not. 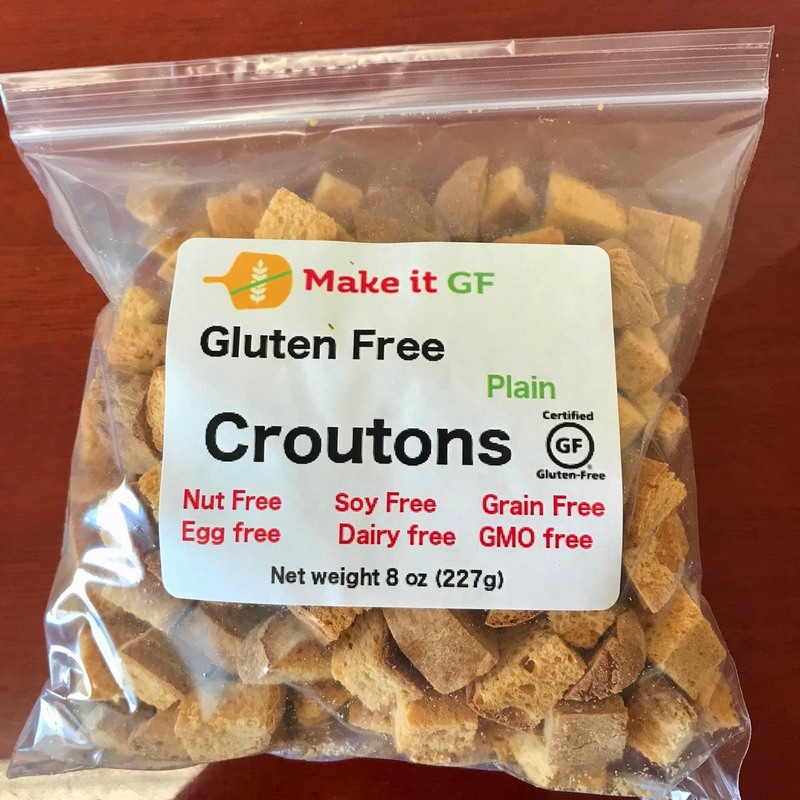 However, we do now offer gluten free croutons, which, really, are what most stuffings are about. Click on the image above to learn the nutrition facts and more about our croutons, or click here.